As if the massive amounts of free content and free games PlayStation Plus owners wasn't already enough, Sony has now taken up the habit of giving away free money! I just turned on my PlayStation 3 for the evening and discovered a message in my mailbox with a $10 voucher for the PlayStation Store and a note from Sony thanking me for being a loyal fan. Well, you're very welcome, Sony. Don't mind if I do. Similar stories across Twitter, Facebook and NeoGaf have been popping up with some gamers reporting they've received the voucher while others haven't. With no indication as to why they've decided to give us free money, one can either assume that they are either genuinely happy with my loyalty to the PlayStation brand or they are just trying to get us all hyped for the big PlayStation 4 announcement. If it's the former, don't tell them I play Borderlands 2 on my Xbox 360 these days. And if it's the latter, tell them not to worry because covering their event is my job. Hurry and check if you've received a similar message. The voucher expires on March 5th. Anybody have anything they've been itching to buy through the PlayStation Network? The Capcom Arcade Cabinet just launched, and a little patience could reward me with Persona 2: Eternal Punishment, which was just rated by the ESRB for a PSN release. 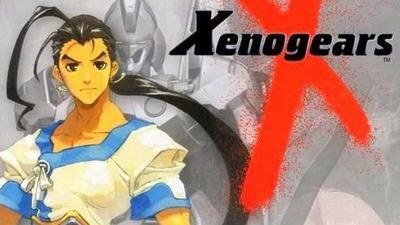 I'm all about Playstation One Classic RPGs though, and Xenogears and Chrono Cross both look awfully tempting too.